Along with events such as the Revolutionary and Civil Wars and the Industrial Revolution, the Great Depression helped to shape modern-day America. The circumstances of the Great Depression enlarged the role of the government in the everyday life of Americans, particularly through FDR's New Deal initiative. World War II helped not only to bring the nation out of the Depression, but also put the United States on the world stage as a leader. Unlike previous administrations who subscribed to a certain level of isolationism, both FDR and Truman placed the United States on a path to strong involvement and leadership in worldwide conflicts and reform movements. 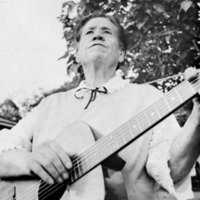 Additionally, World War II changed the role of women who went into the workforce as American men went to war. Events such as the bombing at Pearl Harbor, liberation of concentration camps, and the use of atomic bombs provide images and stories that have helped to shape future American foreign policy. 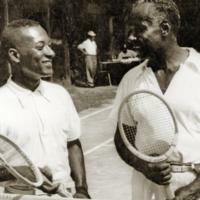 Robert Walter Johnson was a driving force behind the integration of the sport of tennis. 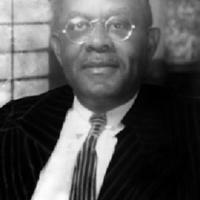 Civil rights leader Percy Casino Corbin strove to bring equality to the school system in Pulaski, Virginia. 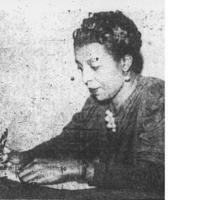 Aline Black was a plaintiff in a case challenging the disparate pay of African American and white teachers in Norfolk. 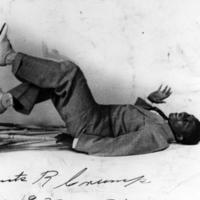 A self-taught dancer, Pleasants "Snowball" Crump performed for national and international audiences.